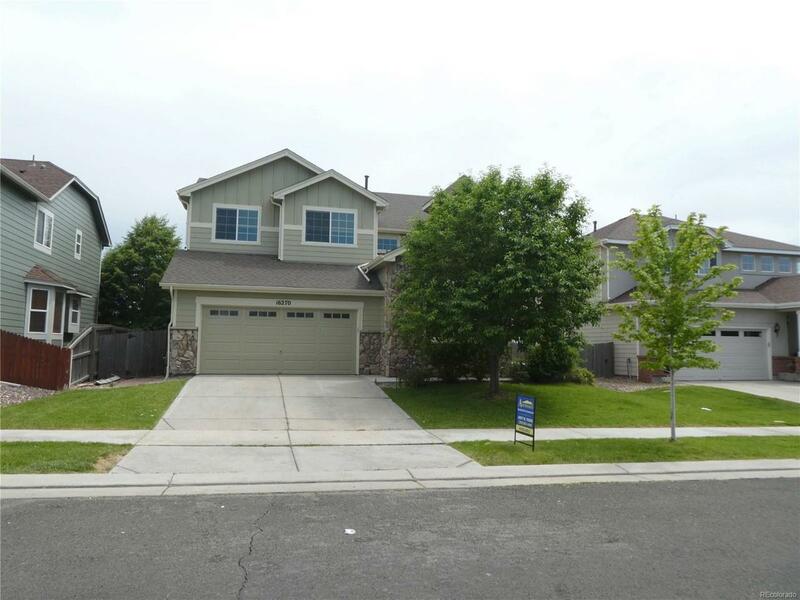 Open Floor plan 4 beds and 2.5 baths 3376 sq sq ft 3 car tandem garage in Buffalo Mesa in Commerce City. NEW carpet and fresh wall paint. High ceiling ceiling formal dining, living room, family room with cozy fireplace, kitchen with plenty cabinets, kitchen island, & breakfast Nook. Vaulted Master bed with 5 pieces baths. Walk distance to Buffalo Mesa clubhouse/ swimming pool. Back to greenbelt & playground. Close to Groceries store, fast food, bank, E470, I76, restaurant, DIA & more.